White ink printing is now available at French Press! 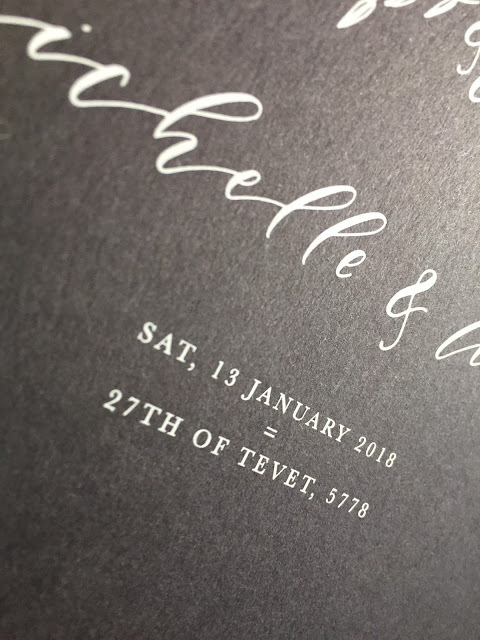 Let us design and print a design for you or we'd be happy to print your own design. 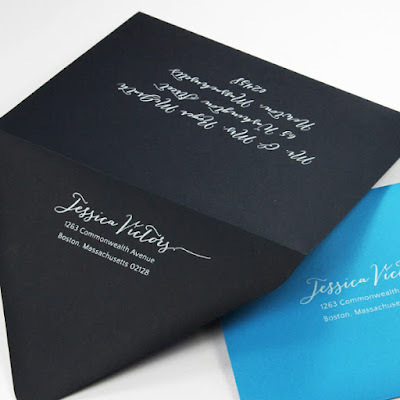 We can also address envelopes in a variety of styles and fonts. 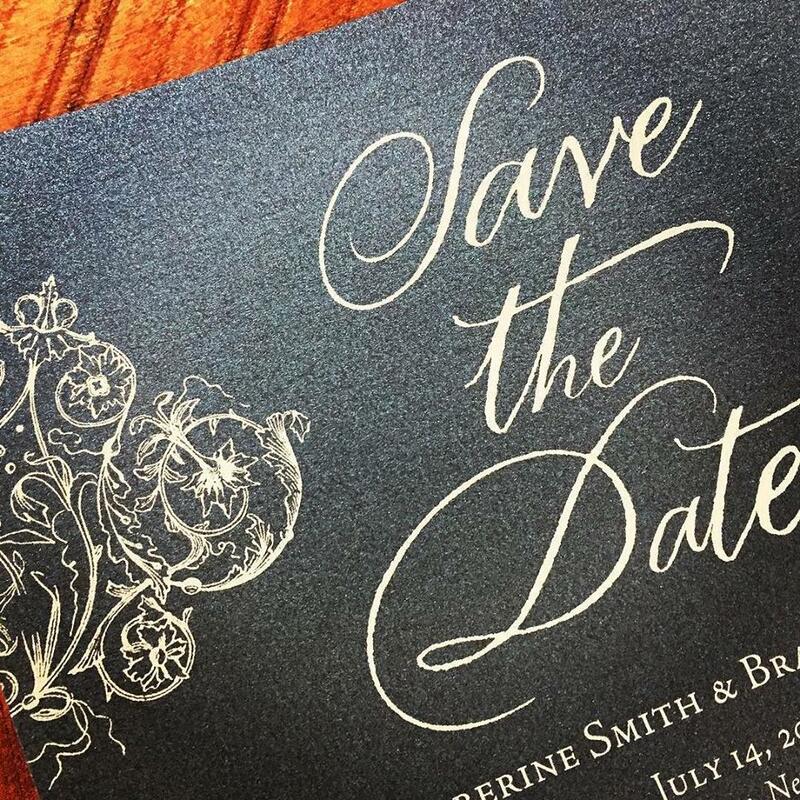 Save money with white toner instead of spending a ton of money on white foil. Color is also available. Give us a call or drop an e-mail to start your project! I'm reading: White Ink PrintingTweet this! Hi, it’s difficult to choose one among the lots as it's related to design and one can come up with a variety of options. .Content and font-giving information about the dates, events, the venue along with map location Font selection also play an important role. Also be aware of the size of the font to be used. .Color and texture-people are coming up with very sober color. Even if there are vibrant colors it’s not too bling. There is Lot of textured paper available you can check that as well. .Card size-there was a time when getting wedding cards of massive size was on trend, but that's a big no for me then and now as well. Remember “less is more”.